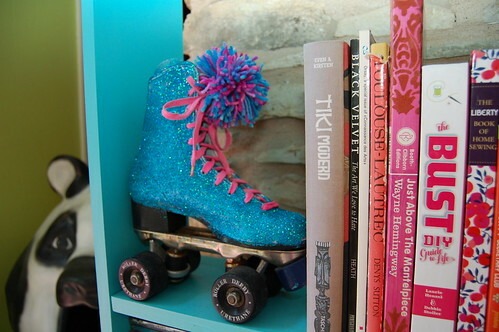 Everyone needs a pair of glittered roller skates in their life. They make great bookends, door stops, paper weights, meat tenderizers - they are virtually indispensable around the house. Now that you know you need a pair, let me tell you how to make them. 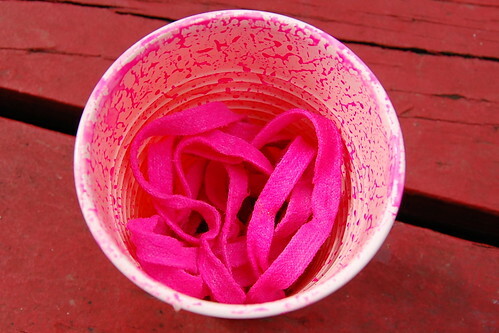 So now your glue and your dye is drying, let's make some yarn pom poms. 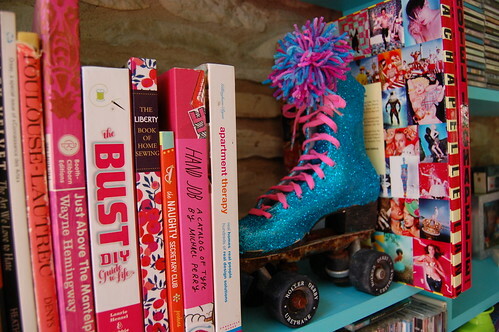 Remember when you wore pom poms on your skates? Made doing the Hokey Pokey that much more fashionable. 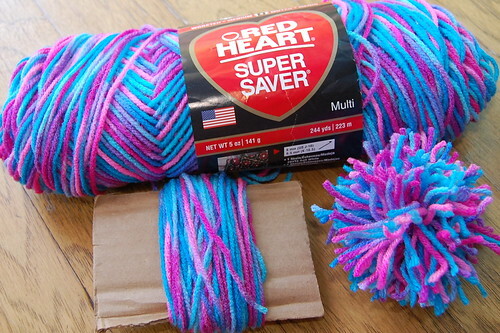 Wrap yarn in whatever color you want around a piece of cardboard 100 times. Slide the yarn bundle off one end. 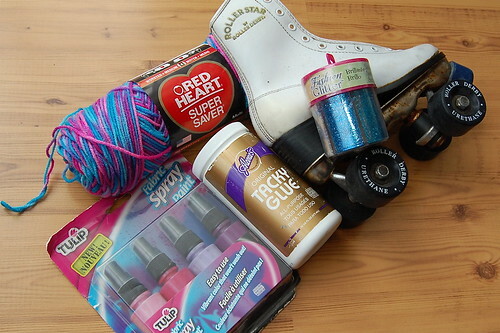 Cinch the bundle by tying a piece of yarn tightly around the center. Now with scissors go in and cut all the loops. You may need to trim your pom pom. I'm kinda in love with my new skates. I suppose if they were my size I could actually still wear them to the rink. 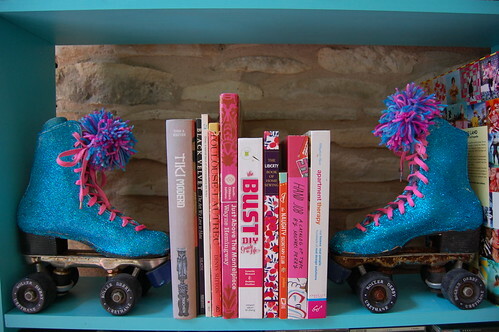 However, I prefer not to fall down in public so I will just keep them on my bookshelf. 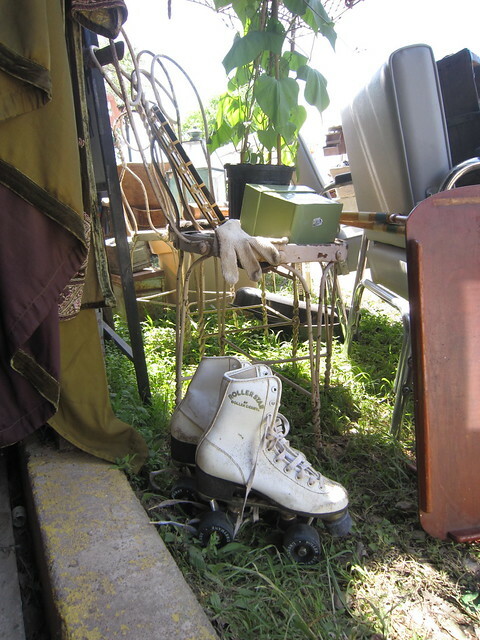 Everybody wants to get Roller skates in good quality and affordable prices.I really appreciate your post.Thanks for sharing it with us. My 10 year old daughter and I just finished this project. The stakes turned out AWESOME! Ours are Christmas gifts, with a door-stop purpose. One extra step we did, was spray them with a clear gloss overcoat. 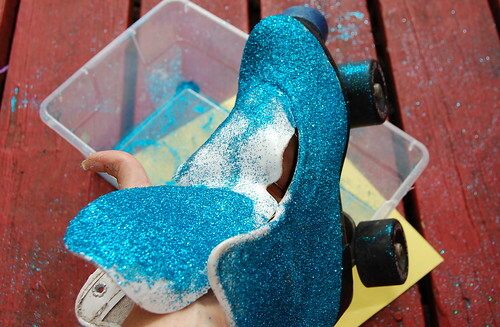 That way the glitter will not rub off over time. Thanks for the super cute and fun idea.